Tennis Lessons Granite Bay: Use These Nutrition Tips To Play Well! It’s important to have excellent nutrition as a tennis player because of the intensity of the sport. If you’re not eating enough, you can struggle to have adequate energy to play a full match or last through a whole practice. This post will detail and describe how important nutrition is for tennis players and some foods that are needed for athletes. If your son or daughter is ready to take his or her tennis game to the next level, contact Gorin Tennis in Granite Bay now. As the only Global Professional Tennis Coach Association (GPTCA) certified academy in the United States, you can be sure that your child will receive only the best instruction and teaching at Gorin Tennis. Call us today for more information! Consuming a high carbohydrate, low fat, and moderate protein meal around three to four hours before a match or practice is essential to playing an excellent game. An example of this meal could be a piece of grilled chicken, fruit, and low sodium rice or pasta. Of course, this meal can be modified to meet your child’s needs and taste preferences, but only subsisting on energy bars and drinks will cause a serious crash later. 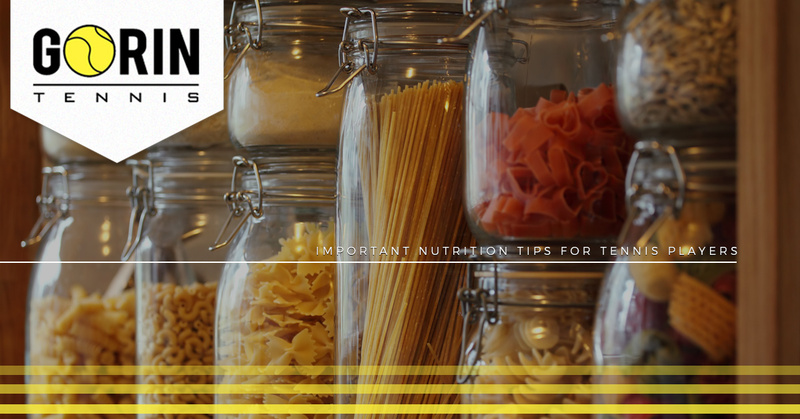 It’s also important to remember that, while whole-wheat pasta, salads, and vegetables are all excellent parts of nutrition, they should not be eaten before a long practice or practice match. These foods can cause digestive issues and take more energy to break down and process, so they won’t be utilized well. Simple carbohydrates, such as bananas and white bread and rice, are the best choices for quick energy. Especially if it’s hot outside, hydration is essential. Make sure your tennis player has plenty of water and rehydrates every 15 minutes if possible. Thirst should not be an indicator and plenty of water should be consumed to replenish the body. Energy drinks, bananas, and energy bars made up of simple carbs are also a great way to stay energized and alert during a long practice session or extended match. This time is crucial and tennis players need to eat plenty of food to replenish their bodies. A high protein, high carbohydrate meal should be eaten no later than two hours after a match has ended or practice is over for the day. Generally, a protein shake paired with a piece of lean meat and a plate of vegetables and fruits is the best choice. Again, you can easily modify this meal to fit the particular needs and tastes of your tennis player. Also, make sure plenty of water is consumed as well to rehydrate the body. 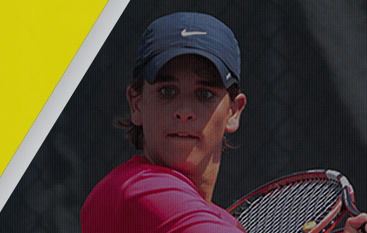 At Gorin Tennis, we’re proud to offer incredible tennis instruction to all of our students in the Granite Bay area. 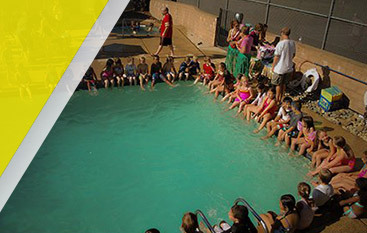 As the only GPTCA certified academy in the United States, you can be sure that you’re enrolling your child in the best tennis lessons available. 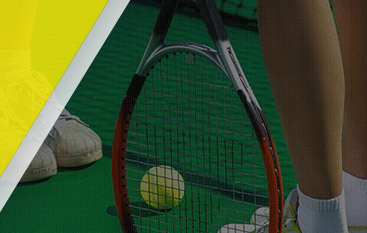 Contact us now for more information about our tennis lesson options, as well as our tennis camps! We look forward to hearing from you!